This is a 1936 Chevrolet Center Cap with a Stainless Steel Finish. 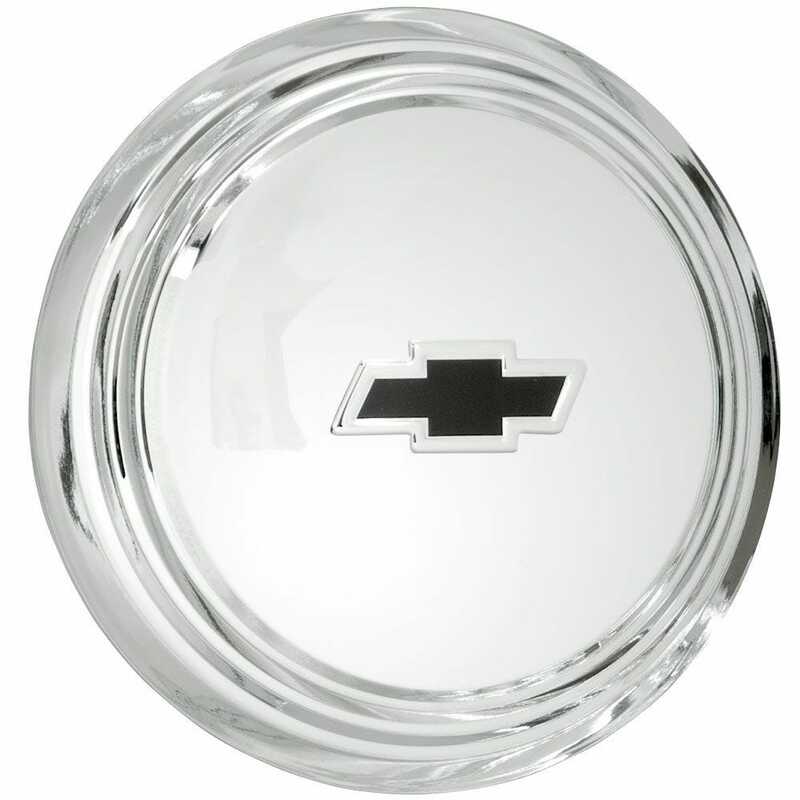 The 7.0" back inside diameter fits our Chevy Rallye wheels and 17"-18" Smoothie wheel sizes. Please check your actual wheels for the required cap fitment size. Coker Tire Company offers a huge selection of aftermarket hubcaps and wheels for collector vehicles. Will the 7" 1936 Chevy cap (Sku 1017) fit the Chevy rallye wheel? Yes, the Chevy Rallye wheels are compatible with 7" back diameter caps. will these fit the 16x7 smoothie wheels? The 7 inch caps fir 17 inch and 18 inch Smoothies, but not 16 inch or smaller.